It has been a year since the world saw an improbable candidate sworn in as the President of the United States of America. Soon after he was elected President, “There was, in the space of little more than an hour, in Steve Bannon’s not unamused observation, a befuddled Trump morphing into a disbelieving Trump and then into a quite horrified Trump. 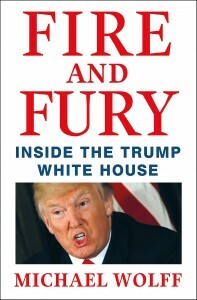 But still to come was the final transformation: suddenly, Donald Trump became a man who believed that he deserved to be and was wholly capable of being the President of the United States,” says Michael Wolff. Yet, no one knows what makes him tick. 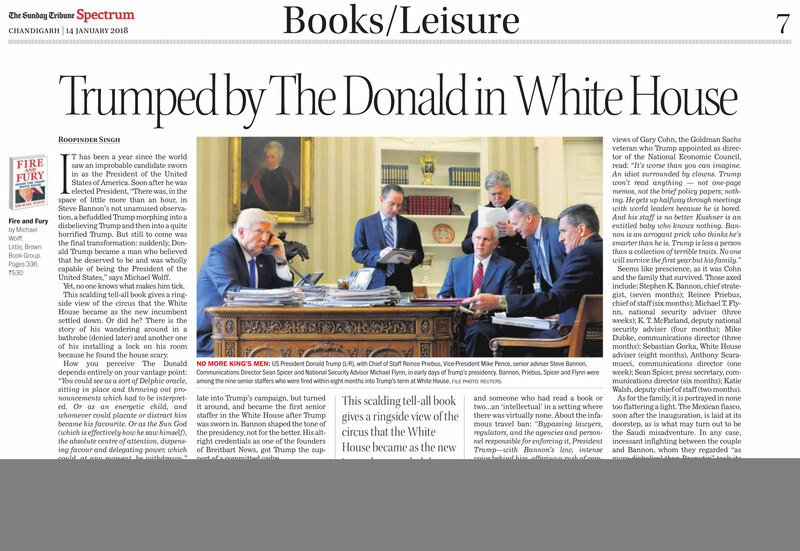 This scalding tell-all book gives a ringside view of the circus that the White House became as the new incumbent settled down. Or did he? There is the story of his wandering around in a bathrobe (denied later) and another one of his installing a lock on his room because he found the house scary. 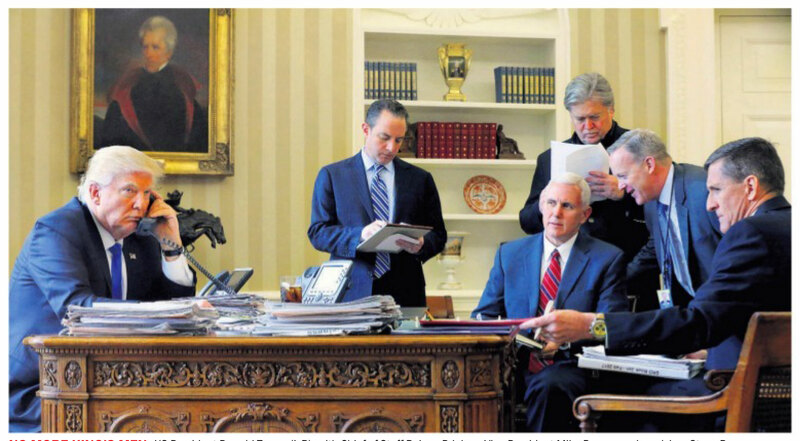 It all came down to “managing” Trump, and one person who did it better than others was Steve Bannon, who came in late into Trump’s campaign, but turned it around, and became the first senior staffer in the White House after Trump was sworn in. Bannon shaped the tone of the presidency, not for the better. His alt-right credentials as one of the founders of Breitbart News, got Trump the support of a committed cadre. Bannon is a deeply polarising figure, convinced of his own vision and importance. Unlike others, who fell before him, his personal rapport with the President allowed him to influence the Presidential policy to an extent that no other aide had ever done before him. Here was a person whom the President trusted, and someone who had read a book or two…an ‘intellectual’ in a setting where there was virtually none. About the infamous travel ban: “Bypassing lawyers, regulators, and the agencies and personnel responsible for enforcing it, President Trump—with Bannon’s low, intense voice behind him, offering a rush of complex information—signed what was put in front of him.” The result was a chaos, but much appeasement of the core alt-right constituency. Bannon was also engaged in a raging battle with the younger Trumps — Ivanka and Jared, together called Jarvanka. Seems like prescience, as it was Cohn and the family that survived. Those axed include: Stephen K. Bannon, chief strategist, (seven months); Reince Priebus, chief of staff (six months); Michael T. Flynn, national security adviser (three weeks); K. T. McFarland, deputy national security adviser (four months); Mike Dubke, communications director (three months); Sebastian Gorka, White House adviser (eight months), Anthony Scaramucci, communications director (one week); Sean Spicer, press secretary, communications director (six months); Katie Walsh, deputy chief of staff (two months). As for the family, it is portrayed in none too flattering a light. The Mexican fiasco, soon after the inauguration, is laid at its doorstep, as is what may turn out to be the Saudi misadventure. In any case, incessant infighting between the couple and Bannon, whom they regarded “as more diabolical than Rasputin” took its toll on the image of the presidency. Wolff’s gossipy account is a page-turner. It titillates and informs but suffers from its lack of attributions. It is a collection of episodes of oh-my-goodness that have come to define the Trump presidency. Ever so interesting, even if they are distressing at times.